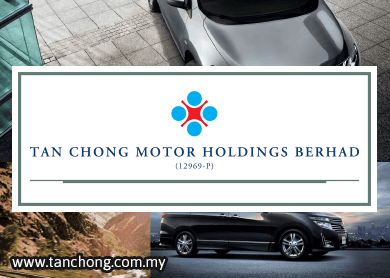 KUALA LUMPUR (Feb 25): Tan Chong Motor Holdings Bhd saw its net profit for the fourth quarter ended Dec 31, 2014, plunged 87.2% to RM8.67 million or 1.33 sen share, while revenue dipped 6.7% to RM1.26 billion, as fierce promotional campaigns in the automotive sector hit profit margins. In a filing with Bursa Malaysia, Tan Chong (fundamental: 0.8; valuation: 1.8) also saw its 2014 full year net profit dropped 57.82% to RM105.85 million, as revenue fell 8.4% to RM4.76 billion. In its filing to Bursa Malaysia, the Nissan vehicles distributor said due to the highly competitive environment in the local automotive industry, it had stepped up promotional campaigns to sustain market share and reduce its inventory, at the expense of profit margins. The group noted the strong promotional campaigns had reduced its inventory to RM1.52 billion as at Dec 31, 2014, from RM1.73 billion as at Dec 31, 2013. Nevertheless, Tan Chong noted the sale of RM198.25 million of hire purchase receivables under the Asset-Backed Securitisation (ABS) programme in the fourth quarter of 2014, had helped the group improve its cash flow. Its financial services division had also recorded higher revenue of RM53.3 million (29.7% increase y-o-y), while EBITDA has increased by 4.3% to RM17.1 million. As at Dec 31, 2014, hire purchase receivables stood at RM441.2 million, a reduction of RM48.5 million compared to RM489.7 million as at end-2013. Meanwhile, revaluation gain on investment properties, efforts of cost rationalisation and productivity improvement measures, helped raise revenue from other operations to RM11.5 million, compared to RM7.4 million in the previous year. Tan Chong noted its prospects remain challenging, as the weakening ringgit has added pressure on the imported costs of materials required in the automotive industry. Meanwhile, it said higher costs of living and the impending implementation of the Goods and Services Tax on April 1, 2015, will be the two major concerns affecting consumer behaviour. “There will be foreseeable slowdown in consumers’ spending, in the light of these factors. The tightening of lending guidelines by banks, including hire purchase financing, will restrict the purchasing power of potential car buyers,” it added. Nevertheless, Tan Chong said it will continue to be prudent and control the capital and operating expenditures, while taking “diligent steps to monitor its foreign currency risk and maintain the business competitiveness throughout the year, to ensure its sustainability”. Tan Chong closed 4 sen or 1.19% lower at RM3.33, with a market capitalisation of RM2.17 billion.